For extreme and extensive workouts, the Lifespan TR5000i treadmill is perfectly designed with the power, intensity, and durability you will ever need. Its sturdy parts and mechanisms provide quality performance and long-lasting use. Built with a powerful commercial AC motor, high-technology console, and backed with a solid warranty, there is nothing else you will need for your cardio workouts and weight loss programs. If you are a demanding runner who requires a regular running workout and you want a durable machine that won’t let you down, spare a few thousand bucks and you will never regret getting the Lifespan TR5000i treadmill. The huge 3.0 AC motor of the Lifespan TR5000i boasts superior strength and durability. This motor is usually found in more expensive commercial treadmills which makes this Lifespan one of the most powerful home treadmills below $2,000. Designed with aluminum side rails, a one-inch reversible commercial grade deck, and a central mount incline motor, the TR5000i treadmill can accommodate even the most demanding and rigorous workout. And even if you’re routine requires everyday training, you can trust that the machine is built to last. It features a tread belt measuring 20” x 60”, giving you a comfortable, spacious running area. Built using orthopedic material, the belt provides cushioning, support, and outstanding traction during your most rigorous walk, strides, or run. The presence of a USB port in the machine allows you to save your workout data and automatically upload them to your personal online account on Lifespan Fitness Club website. More than this, you get to access other exercise programs or download detailed reports of your exercise routines and even health data. You may also connect your mp3 player to the USB port and groove to your favorite music while working out. Built with quality speakers, you are sure to be motivated during each of your workout sessions. 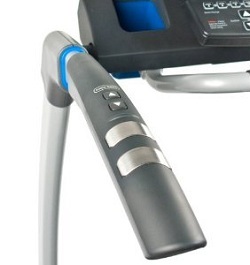 And another winning feature of the TR5000i treadmill is that the belt automatically stops once you stop running. Through this Intelli-Guard safety feature, you can avoid whatever accident that may arise during your workout session. The Lifespan TR5000i is a non-folding machine. This non-folding design is built to provide stability that cheaper machines lack. So, if you’re getting it, make sure you have enough space in your place to store it in. 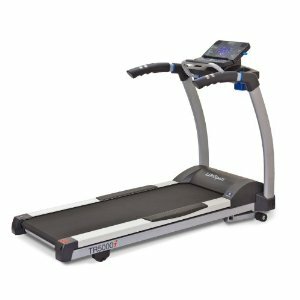 Designed specifically for high performance, the Lifespan TR5000i treadmill is perfect for experienced runners who rigorously train to improve their routine. 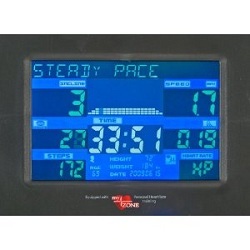 And with its huge commercial motor, it is one of the most powerful home treadmills in the market today. This Lifespan treadmill is definitely recommended. If you plan on buying a Lifespan TR5000i, I suggest you buy from Amazon. Just put the words "Lifespan TR5000i Treadmill" on the box provided to the right. It is currently being sold for just $1,999. Once again, if you plan on buying this machine I suggest you buy from Amazon.com. Just use the search box to the right and put the words "Lifespan TR5000i Treadmill".